The life of the city dweller calls for functional outerwear. A gray ribbed turtleneck layers easily beneath an intriguing forest green bomber jacket. The fashionably dynamic combination allows for uninhibited exploration. Green bomber jacket with quilted horizontal pattern and adjustable detachable hood for those rainy days. 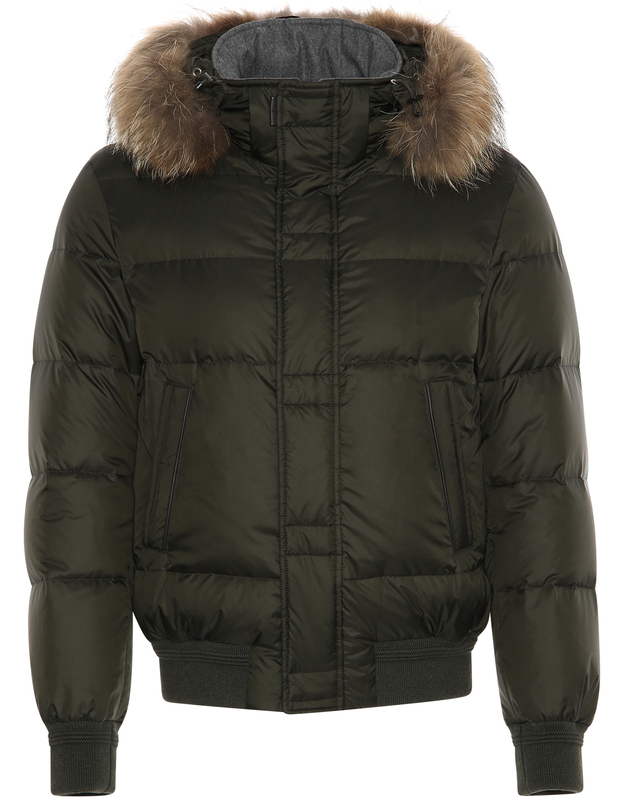 The hood also includes a detachable fur edge and knitted details for an added stylish touch. Made top quality down and technical fabric specially treated to add an invisible barrier that causes water to glide off its surface, which not only protects the garment from rain, but also dust and stains. 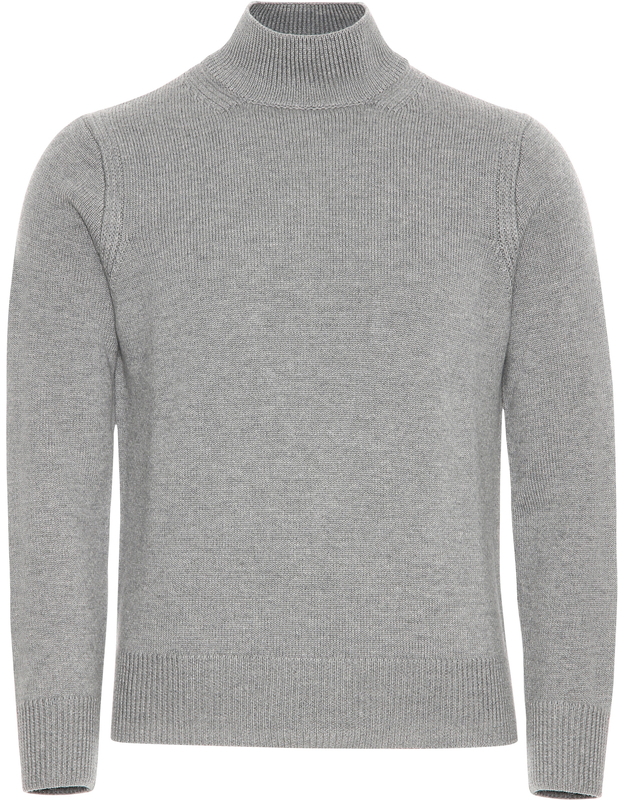 Simple and elegant, this turtle neck comes in gray and has stylistic details such as its ribbed neckline, cuffs, and bottom; that make it the ideal compliment for both formal and casual looks. 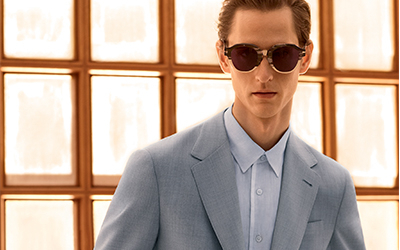 Its neutral tone can be matched with every color suit, or casual pants, and will add a refined touch to any ensemble. 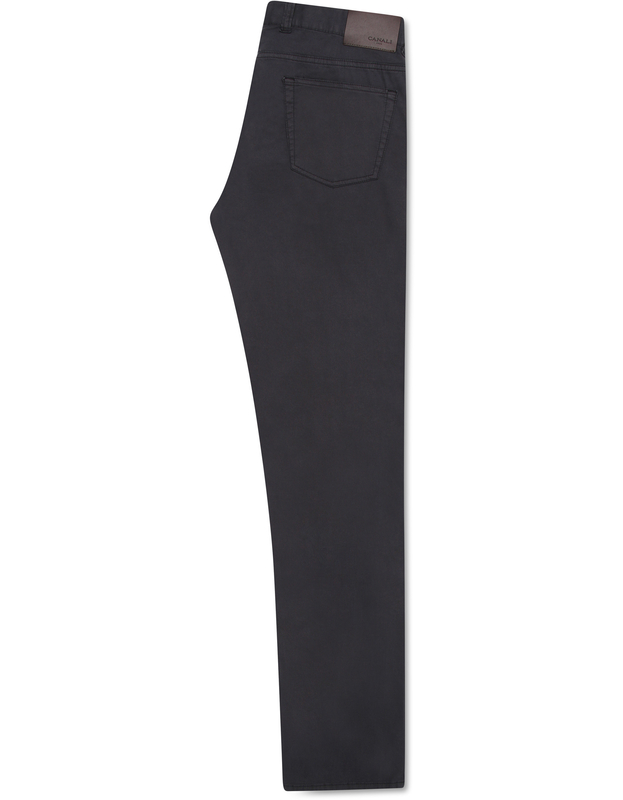 Our new model of blue cotton five-pocket pants are the must-have of this season. Contemporary and comfortable due to a regular fit and 19cm leg opening, it can be styled with anything from a button-down and jacket to a polo shirt. 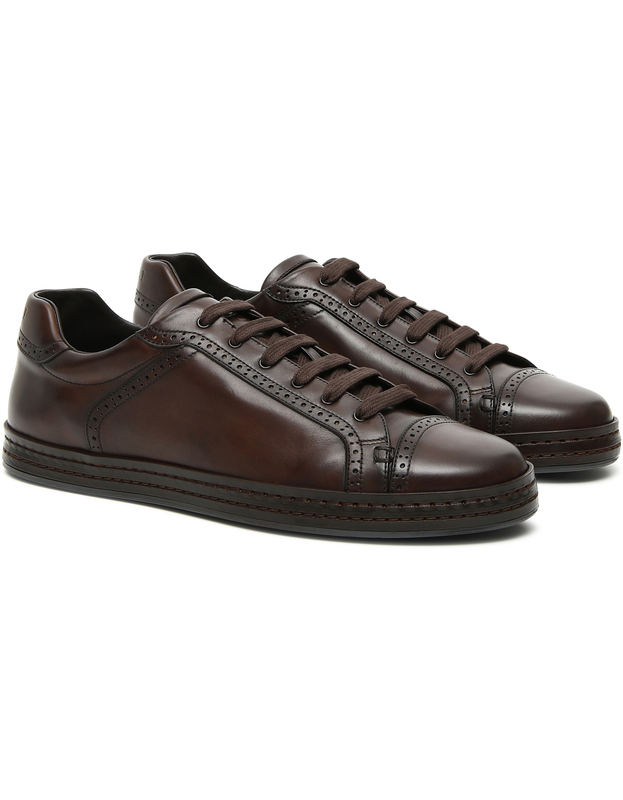 Brown crust calfskin sneakers with hand-buffered surface and brogue detailing that add a vintage and refined touch to this modern piece. With its doubled stitched rubber sole it is comfortable and versatile shoe that can be worn with a pair of casual pants and a cashmere knitwear piece.